Our practice can provide a wide range of dental services. While we can typically provide most types of dental service within our office, we have great relationships with the best nearby specialists to team up with in the case of complex, multi-disciplinary treatment. Our emphasis is on total preventive care for our patients. We will thoroughly examine your teeth and gums, jaws and smile, specifically looking for any potential problems. Depending on the patient, X-rays may be taken. If there are any signs of decay or other problems, we will recommend treatment options and make notes of any conditions that may need future observation. Oral hygiene instructions will also be provided along with suggestions to help you care for your teeth. Silver amalgam: Silver was once the most commonly used material when it came to dental restorations, such as fillings. However, silver fillings do not have much aesthetic appeal to patients and we refrain from using it in most cases. Milling the crown from a block to precisely fit the prepared tooth. New technologies have greatly reduced the time needed to make strong, natural-looking crowns. The old-fashioned way of making a crown involved gooey impressions, temporary crowns and a second visit. 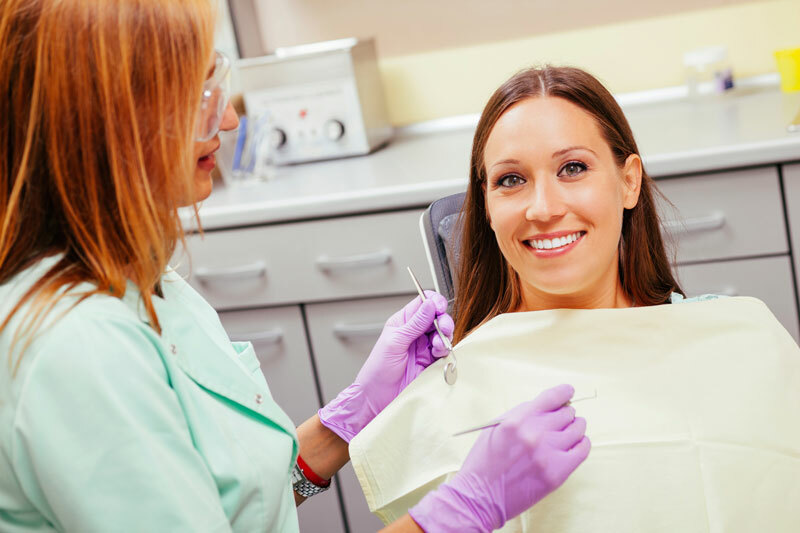 Once the crown procedure is completed, proper care should be taken to ensure the crown remains in good condition and the teeth and gums are healthy. Given proper care, your crowns can last for decades! A bridge is a dental device that fills a space that a tooth previously occupied. A bridge may be necessary to prevent the shifting of teeth, to fix bite problems or to ensure the strength and integrity of the surrounding teeth. Bridges can be made from the same material options as crowns. Some can be made in a single visit while others will need to be temporized and made in a dental lab. A root canal is a procedure that extracts decayed tissue from inside a tooth, reshapes the canal and replaces it with strengthened filler. There are a number of reasons a root canal may be necessary, including dental injuries, severe decay and infection or inflammation in the tooth pulp. When left untreated, these problems can cause extensive damage to the tooth structure and surrounding bone. Root canals can typically be completed in one visit, although more extensive cases may require another appointment. You will also be able to drive yourself home after the appointment. After a tooth has had a root canal filling it will generally need a crown placed over it to strengthen the remaining tooth structure.